If you have sleep apnea, you likely already know the struggle of having to clean your CPAP device on a regular basis. CPAP cleaning can be a hassle, and it’s recommended that you clean most components at least once a week. Thankfully, there’s an easier way than cleaning by hand with soap and water: using a CPAP cleaner! In this guide, we’ll help you find the best CPAP cleaner for your needs. What is a CPAP Cleaner? It’s important to note that most CPAP cleaners are primarily meant to sanitize and remove bacteria. They do not typically remove all the skin oils and perspiration that will collect on your mask components – so, even with the help of a CPAP cleaner, you’ll still need to manually wash your mask from time to time to remove oils. 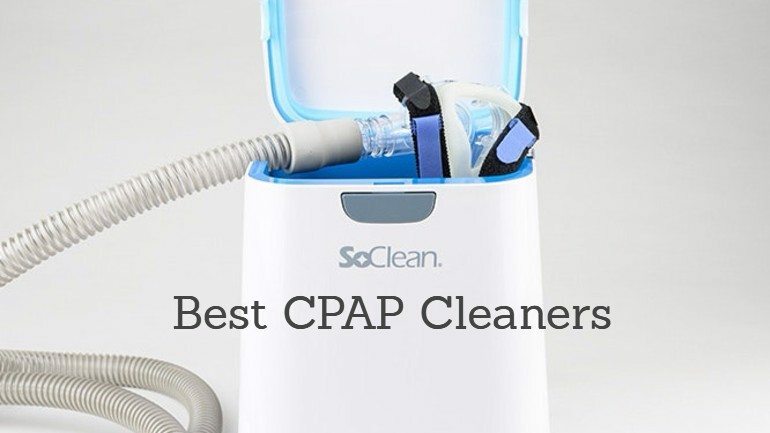 What is the Best CPAP Cleaner? Automated cleaning system – just place your CPAP mask in the device, and you’re done! 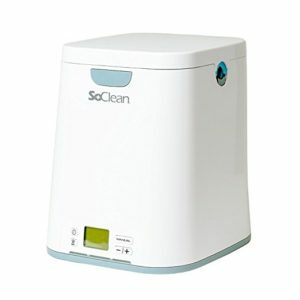 The SoClean is by far the most popular model. 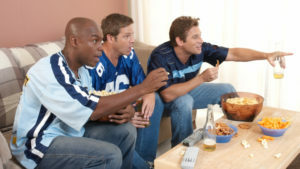 It uses activated oxygen technology to destroy germs and bacteria. 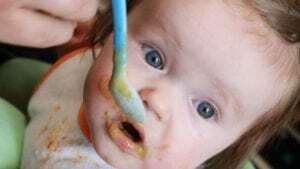 All you need to do to use it is place your mask – while still connected to your hose and CPAP unit – into the chamber, and close the lid. That’s it! The SoClean 2 will then complete its automated sanitation routine, which takes around 2 hours in total. Check out our SoClean 2 review to learn more. The SaniBot takes a different approach than the SoClean by using sanitation tablets dissolved in water. 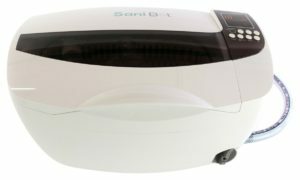 The SaniBot is quite effective at cleaning CPAP mask components, but it’s not intended for use in cleaning the entire CPAP unit, like the SoClean is. With that said, SaniBot WILL remove oils and sweat from mask components, while the SoClean will not. This makes SaniBot the best CPAP cleaner for masks themselves, and the SoClean perhaps the best overall cleaner. 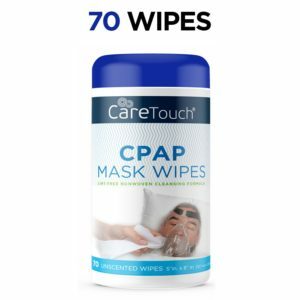 These CareTouch CPAP wipes are no replacement for a full CPAP cleaner, but they can certainly help to keep your mask cleaner. These pair well with the SoClean, because the SoClean will not actually remove skin oils or dirt from your mask. These wipes make it easy to regularly clean your mask without needing soap and water. Interesying in knowing if my insurance will help om this? @Harley Fender, everything I’ve read says no, no insurance will cover any of the costs of these cleaners.